Mark Zuckerberg raised more than a few eyebrows on Wall Street when he included an unusual letter to shareholders within Facebook’s IPO filing to the SEC. In the letter Zuckerberg, who founded Facebook, boldly proclaimed his vision for the company, which seemed to prioritize the company’s social mission over its business one. “Simply put: we don't build services to make money; we make money to build better services,” Zuckerberg announced to the world. In case there was any doubt, Facebook made it perfectly clear that its CEO’s grand vision could be at odds with shareholder’s interests and formally cited Zuckerberg himself as a risk factor to the company’s financial well-being. For a company to cite its CEO’s voting power as a risk factor is not unprecedented, but combine that with Zuckerberg’s unusual letter and we have the signs of a brewing battle. From Wall Street’s perspective, Zuckerberg’s “make money to build services” quote is an upside down way to run a business. It doesn’t jive well with shareholders’ tendency to demand maximum profits in as little time as possible. In keeping with that short term outlook, at the moment Wall Street is content to licks its chops over the impending $100 billion windfall and glaze over the red flag waving from the CEO’s office. But, the stage is set for a high stakes struggle between a visionary CEO and the profit hungry shareholders of the company he represents. Can their interests align? Only time will tell. 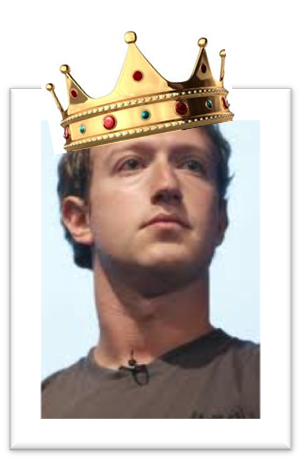 One thing is for certain, Wall Street would be wrong to assume Zuckerberg will capitulate. This is the same guy who turned down a billion dollar offer from Yahoo when he was just 22 years old. However the story unfolds, the media couldn’t have asked for a more dramatic plot line for Act 1 of Facebook’s journey to go public.